On the Roman Catholic liturgical calendar, today is the Solemnity of Our Lord Jesus Christ, King of the Universe, more commonly known as the Feast of Christ the King. The last Sunday of the liturgical year (next week is Advent! ), this feast reminds us that whatever earth powers may do or ask of us, Christ is the true king that should reign in our hearts. In the aftermath of the First World War, in the midst of the rise of Communism in Russia, and during the 16th centenary of the Council of Nicaea (325), Pope Pius XI instituted the feast in his 1925 encyclical Quas Primas, though its first celebration took place in 1926. It was originally supposed to be the last Sunday of October, just before the Feast of All Saints – which, in 1926, just happened to be October 31st. Pope Paul VI gave the feast its current full title (the Solemnity of Our Lord Jesus Christ King of the Universe) and moved it to the last Sunday of the liturgical year. Even though it was created by a pope less than a hundred years ago, some Anglicans, Lutherans, Methodists, and Presbyterians celebrate the feast. Its official name is “the Return of Christ,” but its colloquial name comes from the fact that they give a particular focus on the Last Judgement at Christ’s Second Coming. 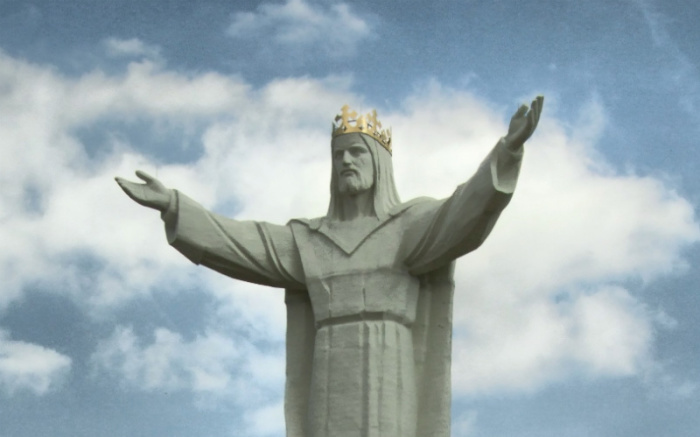 At 33 meters tall (one meter for each year of Jesus’ earthly life), the Christ the King statue is 3 meters taller than the Christ the Redeemer in Rio de Janeiro, Brazil.